The process of finding a refrigerator (refrigerator) has been started since the 18th century. Refrigerator is a part of household appliances that serves to preserve foodstuffs and freeze liquids, besides refrigerators can also be used in supermarkets, pharmacies, hospitals, pharmacies, dairies, butter, photography, silk industry, medicine with function and use which is different. Fogging, this way is done by storing food in a closed place to then be exhaled smoke into it. Salting, the food to be preserved will be soaked in salt water and dried in the sun. Drying, this way is done by reducing the water content contained in the food to the maximum limit. But all the ways above there are still many flaws: the change of taste, the change in food texture, and the disappearance of smell / aroma. thus making the food becomes not fresh again. One day humans know that cold temperatures can make food more durable, so that's where the ideas to create a place to cool the food. among the ways that human beings have done is to create a building for food that is surrounded by natural ice / snow or make a food warehouse located in the ground with the intention inside the dungeon will occur a cold temperature naturally. With the development of science and technology, it was discovered that electricity made a massive industrial revolution in the world including the manufacture of food cooling places using electric power. From the simple discovery of the preservation of food by cooling it was found a refrigerant by some experts, the best technique in the invention of this refrigerator was made by William Cullen at the University of Glasgow in 1748. However, he did not use his invention for practical purposes, then his work was refined again by other experts at later times. William Cullen found a refrigerator because he knew that the cooling food reduces bacterial growth because it can survive in cold environments. William Cullen was an American doctor who developed a refrigerator in 1748 after he conducted a thorough research on bacteria and found that the bacteria had a weakness with cold media. 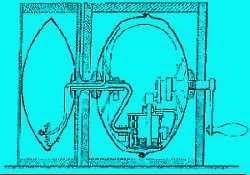 In 1845 in the Orleans area, Lusiana was found to be the first air-conditioning engine to operate for a long time, the discovery finally being piloted on a meat-carrying ship that would depart from Australia to England and the results of the test were satisfactory. 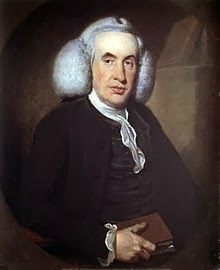 In 1748, William Cullen of the University of Glasgow developed a process for creating artificial refrigeration media. At that time no one paid any attention to the commercial potential of this invention. William's discovery is only used for scientific purposes. An American inventor, Oliver Evans made the first refrigerator design in 1804 but until 1834 no one was interested at all. Jacob Perkins eventually embodied Oliver's design in 1834. In 1844, a doctor named John Gorrie also built a cooling unit used to create a refrigerated room for his patients suffering from jaundice. In 1876, Carl von Linden invented a method to improve the liquefaction process of the gas and then patented it. Carl's discovery is helpful in making the refrigerator more practical. At that time ammonia, sulfur dioxide, and methyl chloride were used for cooling, but proved to be unsafe and caused many accidents. After that Freon is used as a refrigerant medium extensively until evidence is found that its use is not friendly to the environment and causes ozone layer depletion. Freon or CFC then replaced HFC as a cooler medium that is more friendly to the environment. 0 Response to "Who Invented the Refrigerator? History Of Refrigerator - Biography of Wiliam Cullen "